General Motors Corp. on Tuesday appointed Troy Clarke president of its North American operations, a position currently held by Chairman and CEO Rick Wagoner. Clarke, who had been president of GM Asia Pacific since 2004, will assume his new role starting July 1, the nation's largest automaker said in a statement. Clarke, 51, will run day-to-day operations of GM's biggest sales region and help with the company's restructuring. Wagoner has been doing the job since April 2005. Earlier in the day, Deutsche Bank downgraded GM's stock from a hold to a sell rating. A bank spokeswoman would not state the reason for the downgrade. The analyst in charge of the rating did not immediately return a message Tuesday. 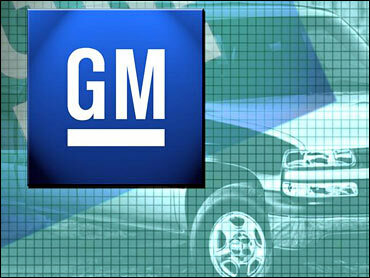 GM stock fell $1.51, or 5.4 percent, to $26.57 in Tuesday trading on the New York Stock Exchange. Shares had been on the rise of late, from a 52-week low of $18.33 per share in December. GM also announced Tuesday that Vice Chairman John Devine, 62, would retire effective June 1. Devine had announced his retirement in December. The automaker still faces challenging times with stiff foreign competition and sales declines. Earlier this month, the company announced that it made a first-quarter profit of $445 million, or 78 cents per share, due to a change in accounting for a health care agreement and other items. It was GM's first quarterly profit since 2004. In April, the company reported a preliminary first-quarter loss of $323 million, or 57 cents per share. At the time, the company said the results could be revised because it still was talking to the Securities and Exchange Commission about how to account for an agreement that makes U.S. hourly retirees pay more for their health care. The company's first-quarter profit is far different from the same period in 2005, when it lost $1.3 billion, or $2.22 per share. GM said it expects to reduce its structural costs by $4.5 billion this year, up from the $4 billion it originally estimated, because of the accounting change. GM also announced Tuesday that David "Nick" Reilly, a GM vice president and president and CEO of GM Daewoo Auto & Technology Co. in South Korea, would replace Clarke in Asia. Wagoner said in a statement that the time is right to turn over leadership of North America to Clarke. "Troy has a track record of success in general management, manufacturing and labor relations in the United States and globally, which will be invaluable in his new assignment," Wagoner said. Clarke started with GM's Pontiac division in 1973 and has held a number of engineering, manufacturing and executive assignments. He was GM's chief negotiator during the 2003 labor negotiations in North America, the company said. The appointment can only help GM because of Clarke's international experience, said Michael Robinet, vice president of global vehicle forecasting for CSM Worldwide in Northville. "He was certainly heading one of the more successful parts of General Motors with their Asia-Pacific operations," Robinet said. "Some of the lessons he's learned over there hopefully he can use in North America." GM already was using Asia and Europe to develop new products, and Robinet expects that to grow. Clarke's appointment comes as GM continues its restructuring plan with a goal of eliminating 30,000 U.S. hourly jobs by 2008. News reports last week said more than 20,000 GM hourly workers have accepted retirement incentives. The automaker announced in March that it would offer buyouts or early retirement incentives to all 113,000 hourly employees. The company would not confirm the 20,000 figure but said it was happy with the number of employees participating in the retirement plan. GM also is involved in negotiations between Delphi Corp., its former parts division, and the United Auto Workers over wage cuts proposed for Delphi workers. Delphi filed for Chapter 11 bankruptcy protection in October. As part of an agreement reached in March between GM, Delphi and the UAW, GM will hire up to 5,000 Delphi workers.